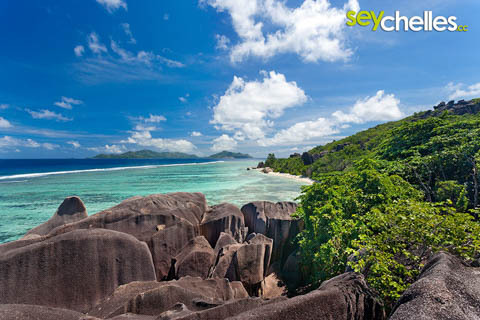 Anse Source d´Argent is probably the most famous of the Seychelles beaches. 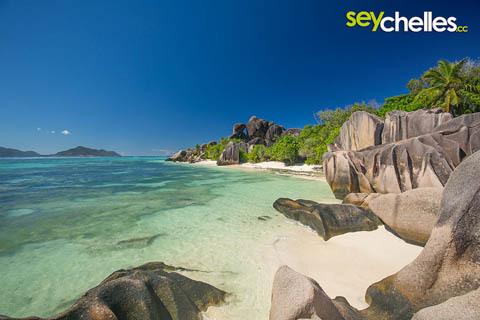 It was voted the most beautiful beach in the world numerous times and is unique with its huge granite boulders scattered along the shoreline. 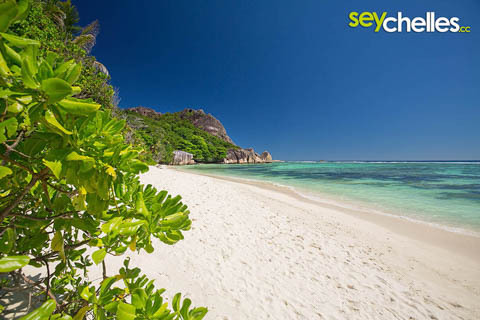 This beach sure is a must on your list of Seychelles places to go. 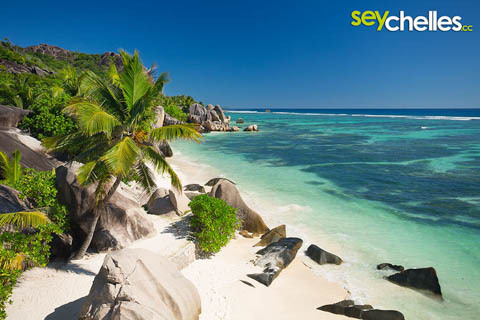 Unfortunately, it is also on the list of others and it can get a bit crowded at times – but only compared to other Seychelles beaches. Many people come and visit in the morning when the ferry for the day-trip from Mahé or Praslin arrives. But the best time to visit is noon to sunset because the sun will light the beach really well in the afternoon – great for taking pictures. Anse Source d´Argent has been the setting for many series, photo shootings and films and if you´re lucky enough, you might even observe a shooting. Lately, there is a bar at the end of the beach where you can get cold drinks and refreshments. The beach itself offers some shady places, but they can get rare in high season. Swimming is good since the beach is protected from a reef and some people even say that snorkelling is nice, but it depends on what you have seen before. There is an entrance fee for this beach because you have to walk through Union Estate Park.